Dr. Shanitha Fathima is a highly skilled and experienced Obstetrician, Gynaecologist and laparoscopic Surgeon. She had obtained her MBBS degree from Pariyaram Medical College in Kerala and completed her post graduation in obstetrics and gynecology (MS OBG) degree from Kasthurba Medical College (Manipal University). 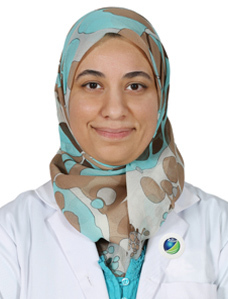 She started her career in MES Medical College as an Assistant Professor in the Department of obstetrics and gynecology which was a center of excellence in gynecologic minimal invasive surgeries and obstetrics. She also obtained a fellowship in minimal invasive surgery from India and also undergone training in prenatal diagnosis and obstetric ultrasound. Dr. Shanitha has completed MRCOG part 1 and is pursuing MRCOG part 2. 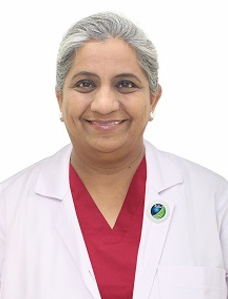 Prior to join Zulekha Hospital Dubai, Dr. Shanitha was working as a Specialist Gynaecologist at a tertiary care hospital in UAE. Gynaec laparoscopic surgeries including : laparoscopic ovarian drilling, laparoscopic ovarian cystectomy, laparoscopic management of ectopic pregnancy, laparoscopic myomectomy ,laparoscopic management of endometriosis, laparoscopic assisted vaginal hysterectomies, total laparoscopic hysterectomy etc..